Wishing everyone a great Thanksgiving……enjoy the long weekend and be safe! We will be closed Monday, October 9, 2017 for the Thanksgiving Day Holiday. Did you nab all the Microsoft Office updates for July? Though Microsoft released a number of security patches in its July 11 update (on formerly-and-still-somewhat-known-as Patch Tuesday), there were a number of out-of-band updates also released on July 27. This update applies to vulnerabilities specifically Outlook and Office Click-to-run. Several of the vulnerabilities in the late July update prevent remote code executions (RCE) in Outlook 2007, 2010, 2013 and 2016, as well as Office 2010 and 2016 Click-To-Run. “This security update resolves vulnerabilities in Microsoft Office that could allow remote code execution if a user opens a specially crafted Office file,” writes Microsoft in their security update. 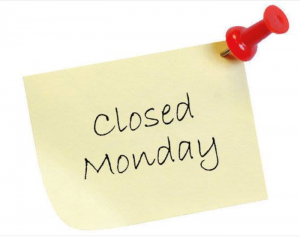 Ryan Computer Services will be closed Monday, August 7th in recognition of the Civic Holiday. Apple is finally giving some love to its Mac Pro line.